When it comes to WordPress misconceptions, I’d like to set the record straight. Here are some common misconceptions and concerns that I hear about WordPress, and here’s how I respond to them. WordPress is a Content Management System that helps to manage any type of content. Yes, it makes a wonderful blogging platform because it’s so easy to add content, and it has a built-in section for “posts,” but it’s not just for putting out your thoughts on a blog. It also has a whole, built-in section for “pages.” You never have to use the blog function if you don’t want to. But it’s available if you ever decide to add blogging into your marketing efforts. Websites are about sharing information—whether it’s services, info about your business, testimonials or images—and about helping clients engage and interact with you. WordPress helps you do all of this. WordPress is not just for bloggers—it’s for everyone! Well, if you consider The Walt Disney Company, Sony, BBC America, Beyonce, The New Yorker, The New York Times, Mercedes-Benz, Clorox, Vogue, and Boston Market to be small companies, then you’re right. So many huge companies and organizations choose WordPress, and I think it’s because of how truly flexible it is. Whether you’re a person or a giant corporation, WordPress can grow and change with you. WordPress is for large businesses, small businesses and individuals! 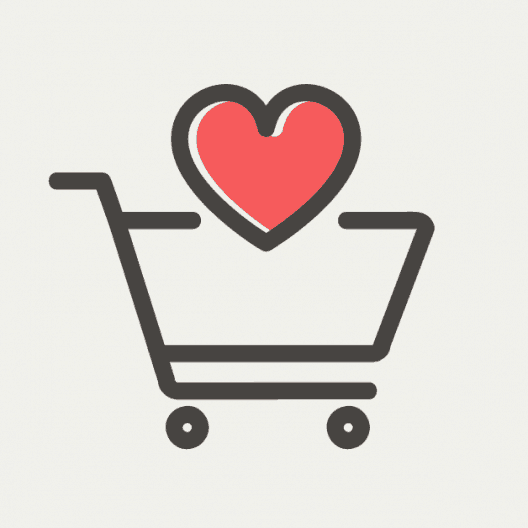 Whether you are selling products, services, memberships, subscriptions, courses or classes, eCommerce and WordPress are a perfect match thanks to a (free) plug-in called WooCommerce. Just like building any website in WordPress, building an eCommerce site in WordPress gives you so many possibilities! You can make sure that your online store is exactly what you want it to be. If you want to sell something online, I offer an eCommerce website package for WordPress. WordPress is absolutely for selling stuff! If you compare the core of WordPress to any other CMS, it is equally secure. The problems that happen come more from users not having strong passwords, not having good hosting, or starting to add in plugins which may not be secure. WordPress allows more flexibility, and therefore more variables, which can ultimately create more risk. One of the best things about WordPress is how flexible it is—but if you don’t know what you’re doing, security can get compromised. When you use WordPress, you need to have some type of maintenance plan in place. If that’s not your thing, there are other CMSs that manage security for you (but in turn, provide much less flexibility). WordPress is secure if you keep it secure! Every WordPress site needs a theme, but theme only refers to the structure of the pages. That can look however you want with no limitation except what your capabilities allow. A custom-designed WordPress site means you will not be limited by any template. WordPress provides the most flexibility—by far—of any CMS! Thanks for letting me set the record straight on WordPress misconceptions! P.S. Just because I think WordPress is the best Content Management System out there doesn’t mean I think it’s the best for everyone’s wants, needs and comfort levels. In my last post, I compared Wix, Weebly, Squarespace, Shopify and WordPress to help you figure out which is right for you. Thank-you Jill Lynn! 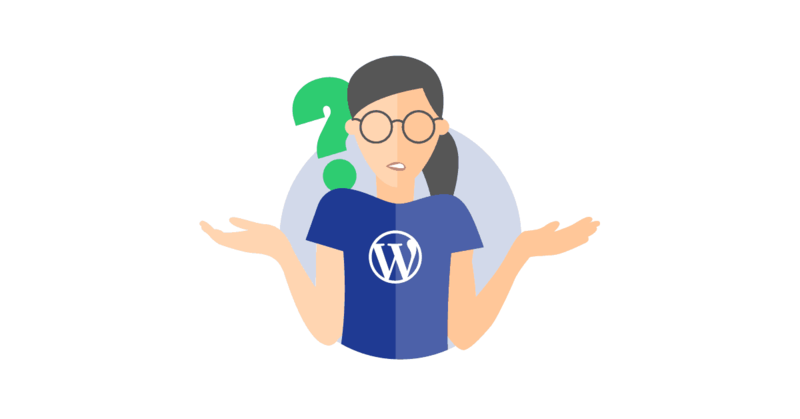 Your article on misconceptions of wordpress is written so well, easy to understand and it touched on all the questions I’ve had about wordpress for years. I really appreciate getting this info from someone who works in wordpress and you saved me tons of time trying to find the answers on the web. I recently made a really bad decision to try another website builder (Tilda) it was really easy to build a great looking site with tons of info on lots of pages but the security was very bad, (had to point my domain to their webservers) I had to quickly close the entire site and spent days working with my hosting company to get all files cleaned. It’s really a shame that we can’t trust most people on-line now-days, I found several rave reviews online before using Tilda, but with lack of basic security there’s nothing but problems…no-one could honestly give a good review of Tilda with such poor security and they have nooooooooo customer service. So, I’m going to use wordpress now, thanks again for your article!